The geometric elaboration of simple materials into light and richly interconnected structures is a recurrent theme in Waterson’s art practice. 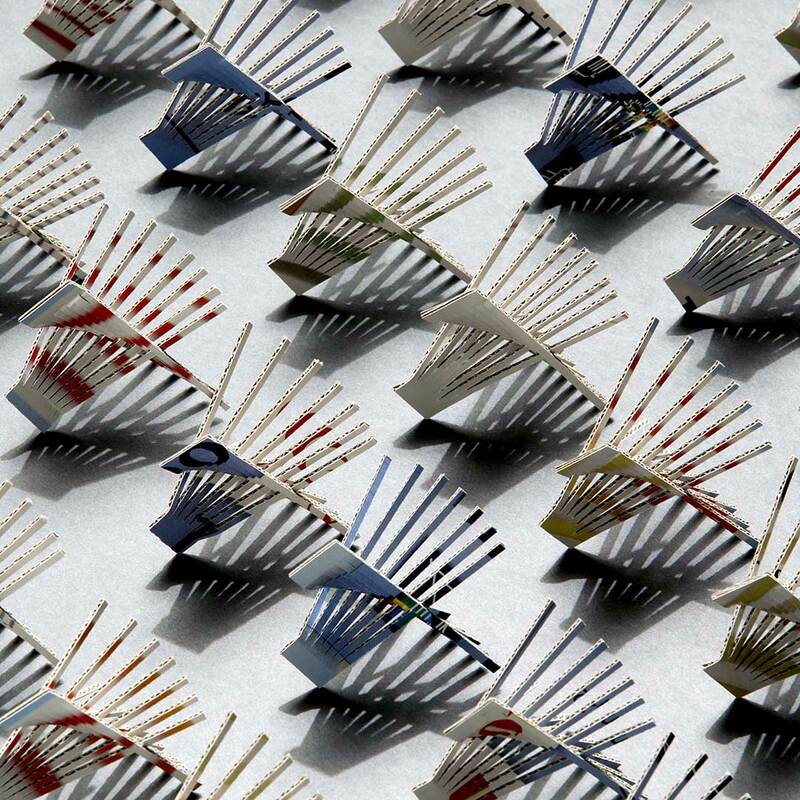 Array RAIA Awards Edition 2007 captures the essence of Waterson’s approach in its twirling, three-dimensional array of recycled materials. 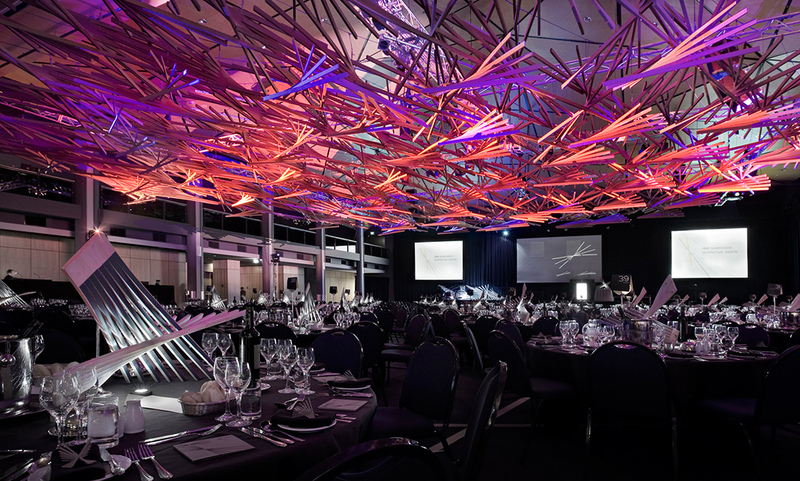 The installation was for a one-night only event celebrating the excellence of Queensland’s Architects. 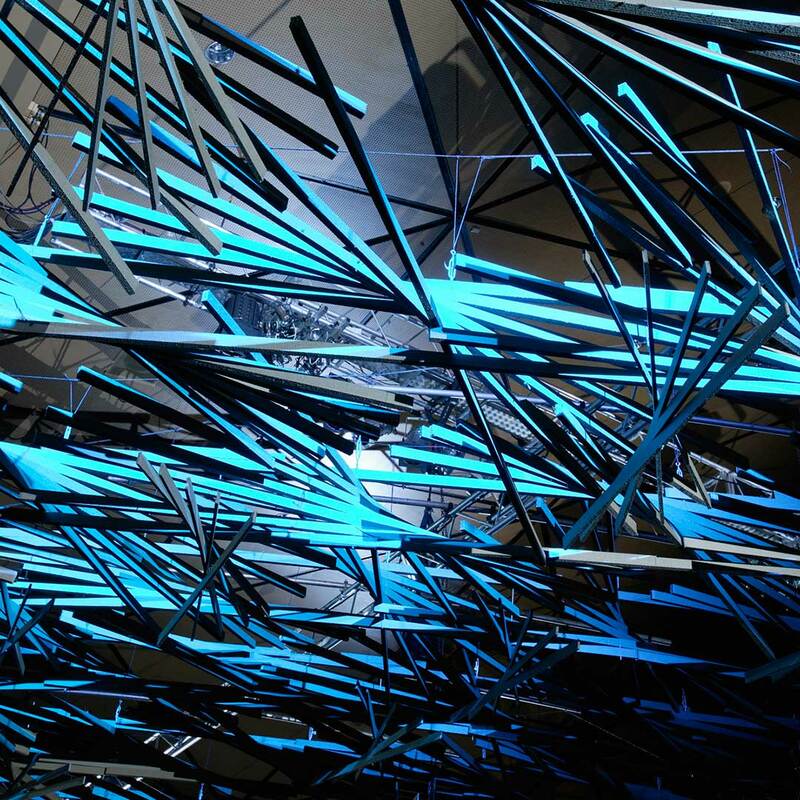 Using a considered yet simplified structural process Waterson created a large-scale sculptural ceiling whose depth, density and pattern were transformed through light, shadow and view during the special evening. The Array form was realized at three key scales: as intimate brooches, intermediate table centerpieces and as an encompassing sculptural ceiling with an area of over 60sqm. 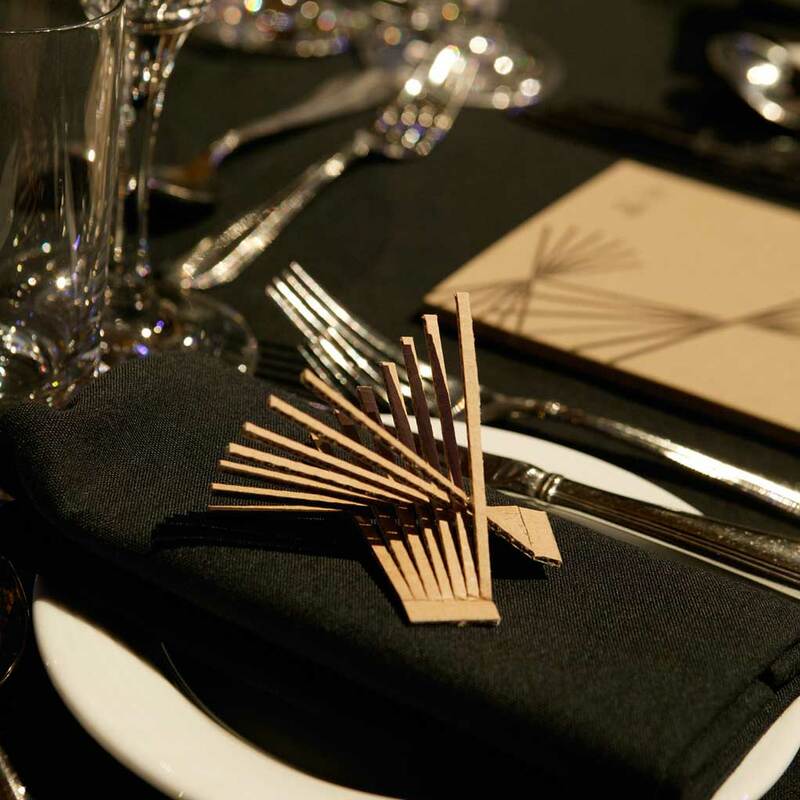 Waterson managed the design, construction and fabrication of the elements and personally handmade each of the 450 brooches as a gift to guests. 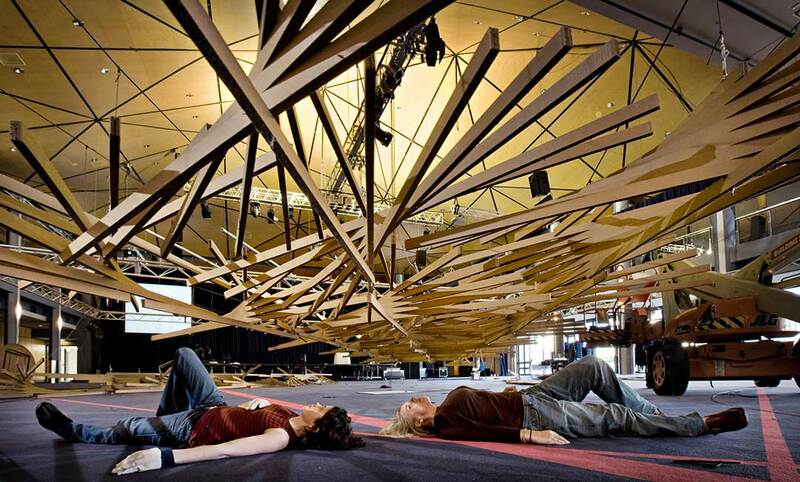 Waterson’s wish was for a truly memorable event “… to create an enfolding, meditative and uplifting experience… that would inspire and challenge the creativity of the audience to make meaningful places in the coming year, and to value the way materials are used.” To this day it remains one of her most inspirational signature projects. Copyright © 2019 Christina Waterson. All Rights Reserved.